We received this beautiful tagine in the mail recently, a thoughtful gift from Mr. K’s cousin Suzanne who visited us last month from Pittsburg, PA. We introduced her to local dungeness crab, had a lovely BBQ at Tomales Bay Oysters, and she treated us to an epic lunch at the Cliff House after perusing the Legion of Honor. It’s quite a beauty isn’t it? 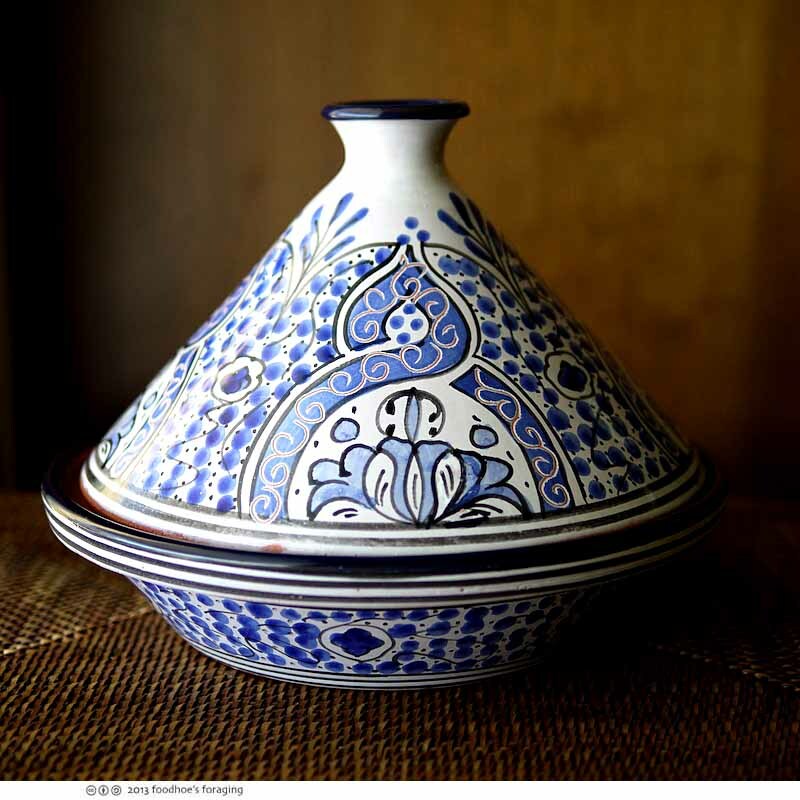 The earthenware pot is hand painted and made in Tunisia (sounds so exotic). 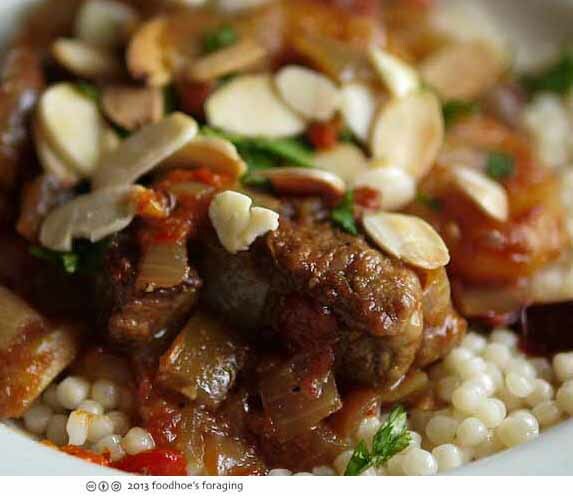 I was recently inspired by Heather in SF who wrote about her beautiful red tagine here, and made a beeline for Dorie Greenspan‘s recipe for Lamb Tagine with Apricots which I cut in half and doubled the amounts of the spices (click here for my version). 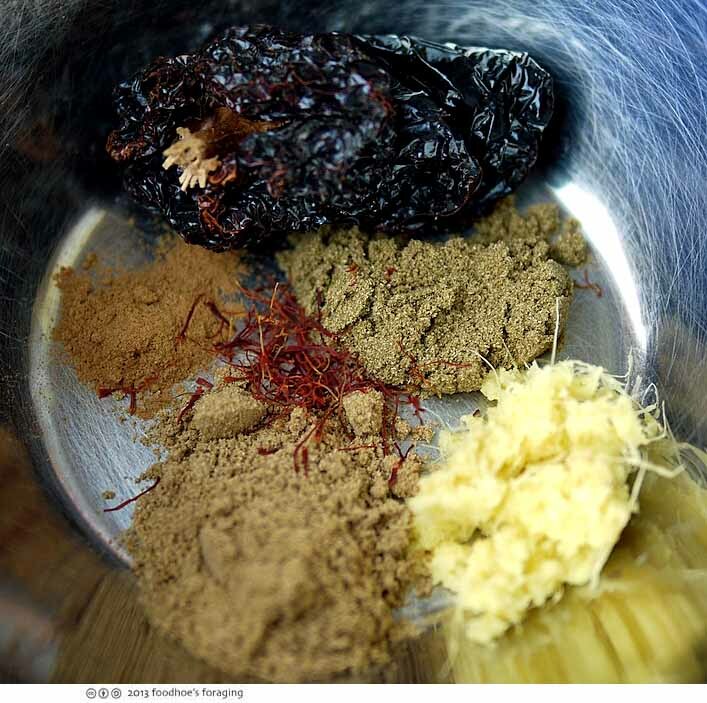 Dorie says, the fragrance of the spices as they cook is dizzying — wonderfully delightful and intoxicating, and I couldn’t agree more, the house smelled amazing. The tagine is a North African dish which is prepared in a special cooking pot, also known as a tagine. The cone-shaped cover funnels condensation directly back to the food for moist, tender results. 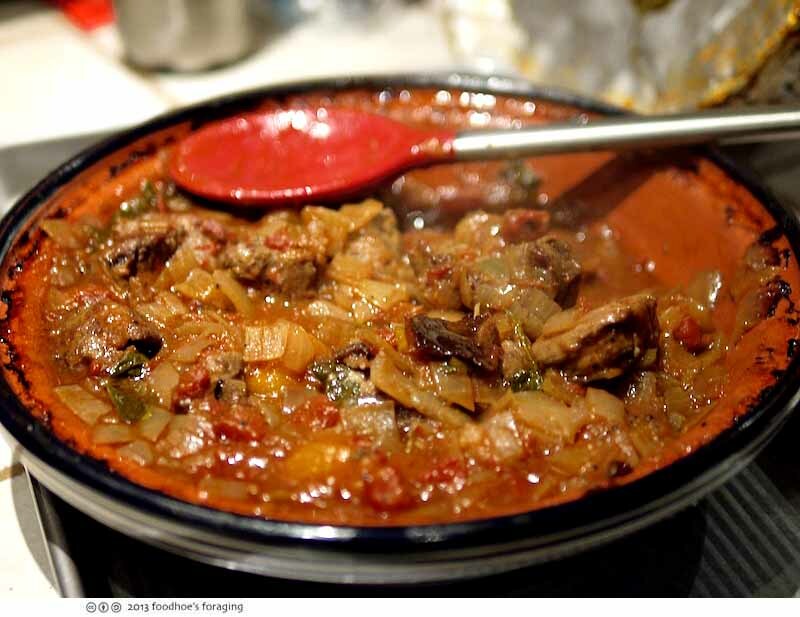 The meat is first browned in a skillet, the vegetables are cooked until soft and everything is mixed together and then put into the tagine to bake for an hour in the oven. I’m glad I cut the recipe in half, as the amount fit perfectly into the shallow pot. The recipe says to cover with foil, which keeps it from leaking, although doesn’t that remove the purpose of the domed lid? Here is the first peek after baking, my but this does smell good! 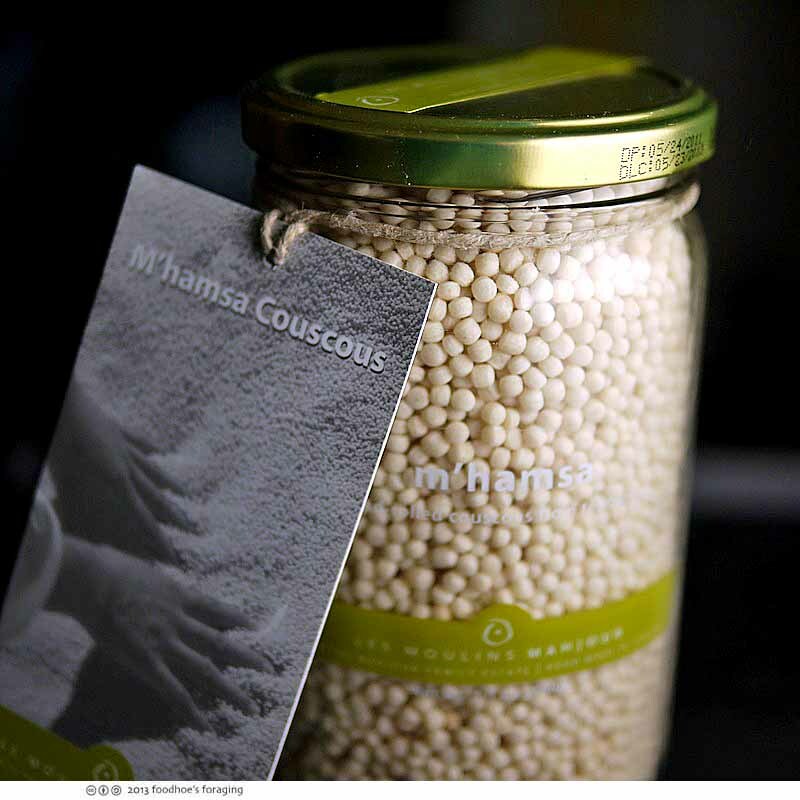 I had a jar of M’Hamsa Couscous in the cupboard, large sundried wheat grains that are hand-rolled and preserved with olive oil. The resulting couscous was nutty with a lighty chewy texture, very different from the small fluffy grains you get in the box. A beautiful tagine pan and dish! I love Moroccan food. 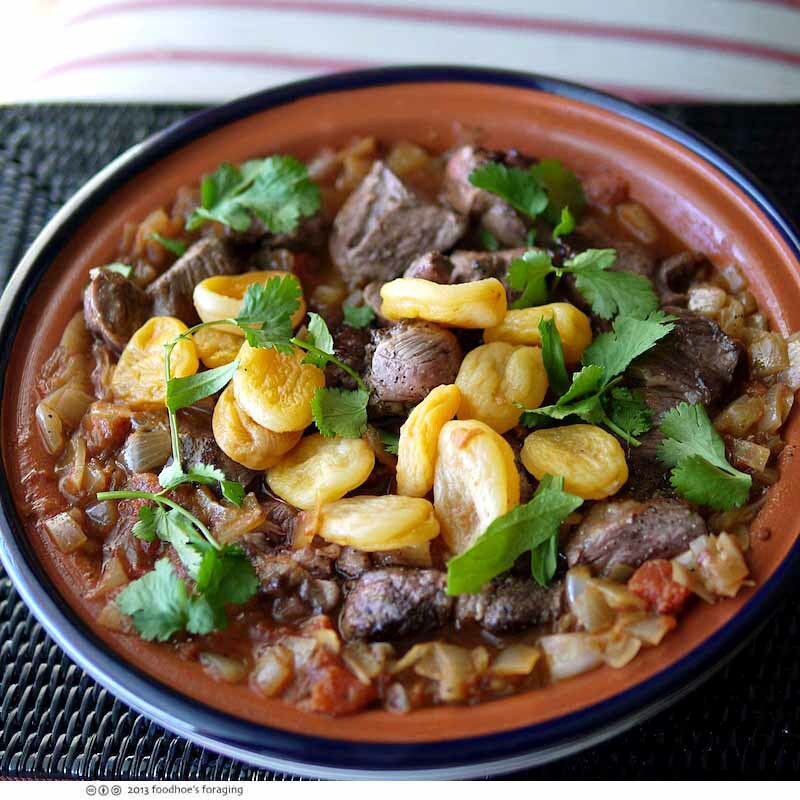 Your tagine is gorgeous! I will have to try your lamb recipe next. Isn’t that great couscous? Such a different flavor from the usual stuff. Thanks for referencing my piece! Can you actually fit the dome into your oven? So pretty, and I bet it smelled amazing. I think our next eating excursion should be to your place! Ben, it fit with plenty of room, I didn’t even need to lower the rack. And yes now that the weather is warming up, let’s definitely do something over here! Sounds and looks amazing, foodhoe! I just made my first tagine recently (chicken with green olives and prunes) but I don’t have an official tagine container. But now I certainly want one!